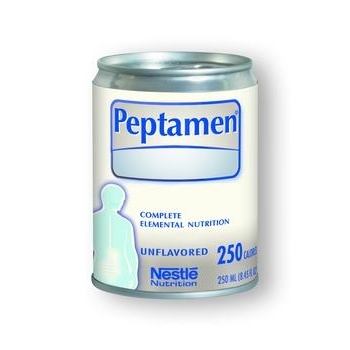 Nestle Peptamen® is an evidence-based well tolerated peptide-based formula. Contains enzymatically hydrolyzed 100% whey protein. 70% of fat from MCT to decrease potential for fat malabsorption.